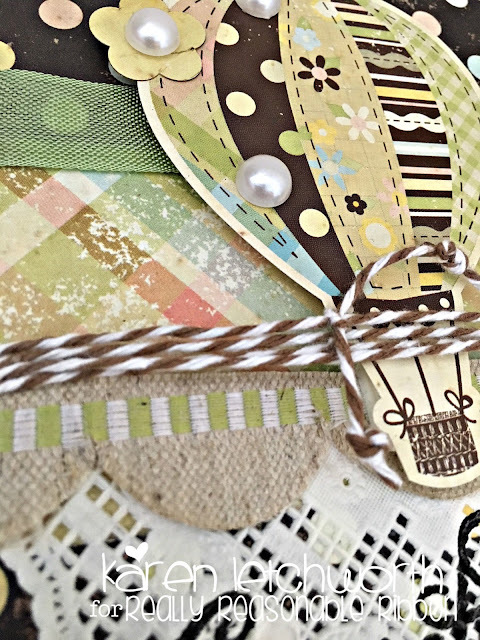 I took a close-up picture of that scallop edge die-cut Natural Burlap Green Wire Edge Ribbon so that you can see how cool it is. I LOVE that you can die-cut just about anything....including RIBBON! I also can't even begin to tell you how much Scor-Tape I use on my cards. There's some holding down my border trims, and under the balloon sticker. It's an AWESOME long-lasting Adhesive. Really Reasonable Ribbon has so many wonderful products. Go ahead, and treat yourself today! Scrapy Land Challenge Blog - Challenge #83 Anything Goes - I used the Pink & Main Scallop Borders Die to create my ribbon border (as explained above). Cut It Up Challenge Blog - Challenge #141 Layers of Love - Hey, who doesn't LOVE a new baby, right? I would have a baby every day if I could....seriously! I just LOVE newborns. I can't wait to be a Grandma! 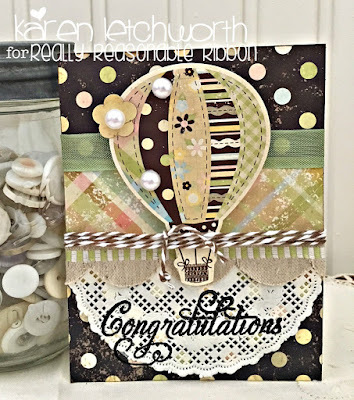 I also used several layers on my card....lots of patterned paper and layers of doily, ribbon, etc. The die-cut I used is the scalloped border die...explained above. 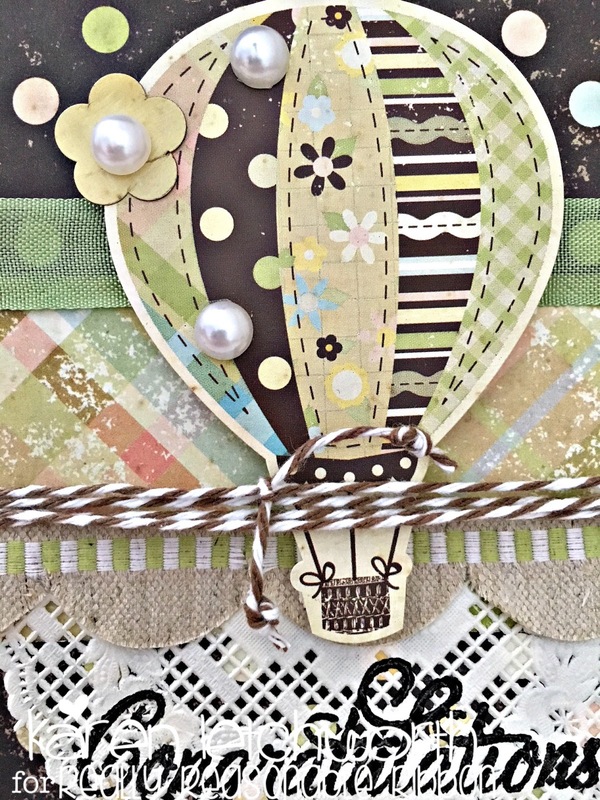 Happy Little Stampers - February Challenge/Anything Goes - I stamped the sentiment, and I die-cut the scalloped border (explained in detail above) for this fun challenge. I love using stamps and dies, so this was right up my alley. This is so precious Karen! Please link back to our challenge blog to be eligible for the prize drawing. Great job! Thanks so much for playing in our ‘For the One I Love’ challenge at Dies R Us. Good Luck and please come back again soon! Karen, this is gorgeous. Just love the balloon. Lovely Layering and great design, Karen. Thanks for taking time to link up with us at Dies R Us. We hope to see more of your creations in future challenges. I really like your PP mix on this design. GORGEOUS card!! I love the layers and the patterns are beautiful! Thank you so much for joining us in the challenge at Scrapy Land!